Peter Wortel was born in 1954 in Amsterdam, Netherlands. From an early age Peter has always been able to express himself better in images and drawings than in words. 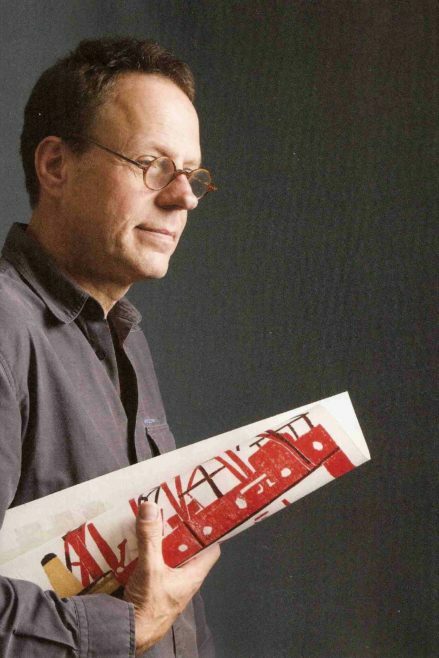 Peter Wortel studied at the Rietveld Academy in Amsterdam and the Academy Minerva in Groningen. Themes in his work are Judaism, architecture, cities and industry. His interests are architecture, perspective, man made constructions and the relationship of people to these subjects. Judaism also plays an important part of his life. Growing up with a Jewish background: war, repressed anger, frustration, pain expressed in his art in his younger years have with the passage of time given rise to an interest in and a longing to express the depth and beauty of Jewish and biblical symbols. 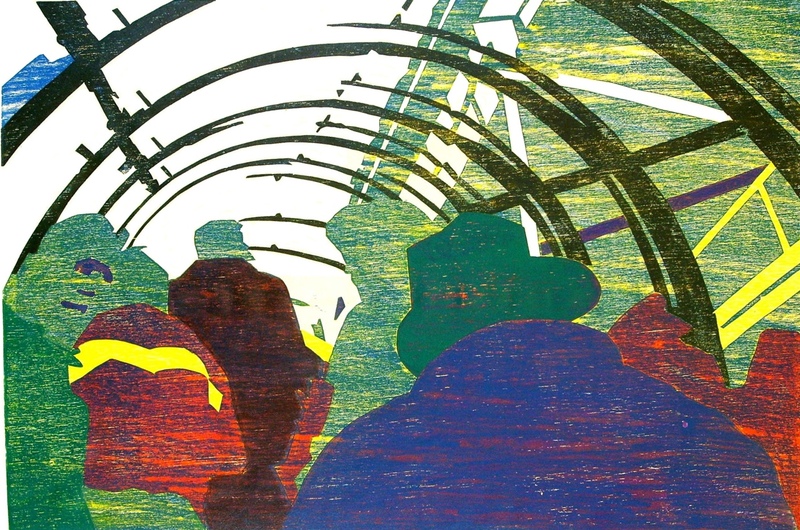 He expresses his work mainly in sculptures and relief printing. Peter works 2 and 3 dimensional with different types of techniques. His work often has a strong monumental character and the basis is always a line drawing or sketch. 2-Dimensional – wood and linocuts. These are usually hand rubbed either with a spoon or Japanese bamboo disc (baren), he tends not to use a printing press. He has a strong personal style, an old tradition with a modern presentation. The prints vary in size from A6 (10,5 x 14,8 cm) to A0 (84.1 x 118.9 cm). The materials which Peter finds at metal scrapyards are weather beaten and oxidized by rain and wind giving a colour range which can vary from very dark brown to moss green. Peter often combines the basic zinc and iron with copper, brass, glass, plastic, wood and other materials. Peter has exhibited in Europe, USA, China, Australia and Russia. He has had various commissions, and his works have been purchased by hospitals, banks, institutions and private collectors. He often gives workshops teaching all ages how to make a lino or woodcut, inspiring young and old to be creative and giving them an outings form to do this. He has organised many workshops for professional international artists to share and encourage each other.